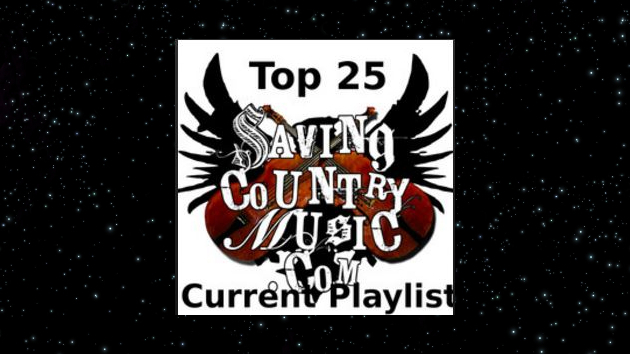 Newest additions to the Saving Country Music Top 25 Playlist start off with JP Harris and his blazing new song “JP’s Florida Blues #1” from his upcoming record Sometimes Dogs Bark At Nothing out October 5th. Bluegrass group Town Mountain also has a new record on the way October 26th, and they were able to recruit Tyler Childers to stop by the studio and record the excellent “Down Low,” which also makes the list. Don’t count Loretta Lynn done yet. At 86-years-old, she’s still pumping out tunes that get the blood pumping, and she goes to fist city in her latest song “Ruby’s Stool” coming in at #3 on the playlist. Then we have a wild card in a song called “Gundowners” from the Houston, TX-based group Grand Old Grizzly. Hard driving guitars and a masterfully-woven story make this song worthy of inclusion. And finally James Steinle‘s finely-crafted song “Finding Who I Always Should Have Been” from his record South Texas Homecoming makes the cut. “That’s Why They Call It Temptation” – Robbie Fulks, Linda Gail Lewis – Wild! Wild! Wild! I bought a 12 pack beer in a Spanish grocery store for about 3.20 USD. Trig – do you think Jinks is more 90’s Strait/Jackson/McGraw than Outlaw? To these ears tunes off his latest album sure sound so which I love. He looks and sounds like the ’90s version of George Michael with the leather jacket, glasses, and tight jeans. I will see my way out. I don’t see Bebe Rexha. This isn’t the country music top 25 is it? I don’t use Spotify but you will find all artists/songs on streaming platforms (Amazon Music, Google Play, Spotify…). Gotta give Loretta some credit and admiration…86 years old, and Ruby’s Stool is one of the best songs I have heard this year. I didn’t put it at #3 just because Loretta Lynn is a legend. It deserves to be there. Good song.